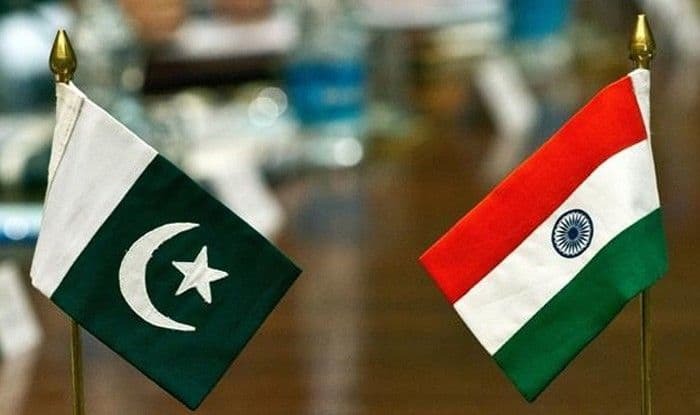 New Delhi: India’s position on dialogue with its neighbouring country Pakistan will remain the same as terror and talks can’t go hand in hand, said sources as quoted by news agency ANI on Thursday. They also said that statements like ‘Shatranj ke chaal‘ and ‘googly’ by Pakistan leaders showed their intentions. Talking about the opening of Kartapur corridor, sources said that Kartarpur was a cultural and religious issue. “It never was any sort of a resumption of dialogue. Both the Prime Minister and the External Affairs Minister did reach out to Imran Khan even before he took charge, but India could not move forward because of his inability to curb terror,” said sources. It is to be noted here that Pakistan Prime Minister Imran Khan in November laid the foundation stone for the corridor linking Gurdwara Darbar Sahib in Pakistan’s Kartarpur – the final resting place of Sikh faith’s founder Guru Nanak Dev – to Dera Baba Nanak shrine in India’s Gurdaspur district to facilitate visa-free movement of Indian Sikh pilgrims. Pakistan Foreign Minister Shah Mehmood Qureshi had said that Khan, a former cricketer, had bowled a “googly” to ensure Indian government’s presence at the groundbreaking ceremony of the Kartarpur Corridor event. Qureshi’s comment did not go down well with India and he was criticised. External Affairs Minister Sushma Swaraj lambasted Qureshi for his controversial remarks saying that his comments showed that Pakistan had “no respect for Sikh sentiments”. India Vice-President M Venkaiah Naidu and Punjab Chief Minister Amarinder Singh laid the foundation stone of the corridor in Gurdaspur on November 26. Pakistan invited Navjot Singh Sidhu, Sushma Swaraj, Punjab Chief Minister Amarinder Singh to the ceremony. Sushma Swaraj had expressed inability to attend the ceremony citing her prior commitments. While Punjab Chief Minister Captain Amarinder Singh also declined the invitation citing terror attacks and killings of Indian soldiers by Pakistan armed forces, his Cabinet colleague Navjot Singh Sidhu accepted it. Both India and Pakistan had agreed to open the corridor for the Sikh devotees for Baba Guru Nanak’s 550th birth anniversary. The decision came after Narendra Modi-led government had cleared a proposal to develop a corridor from Dera Baba Nanak in Punjab’s Gurdaspur district to the International Border to facilitate Indian pilgrims to visit Gurdwara Darbar Sahib in Kartarpur in Pakistan. The Kartarpur Corridor, which will facilitate the visa-free travel of Indian Sikh pilgrims to Gurdwara Darbar Sahib in Kartarpur, is expected to be completed within six months, Pakistan Foreign Office Spokesman Mohammad Faisal had said. The development comes ahead of Guru Nanak’s 550th birth anniversary next year. Thousands of Sikh devotees from India visit Pakistan every year to celebrate the birth anniversary of Guru Nanak.